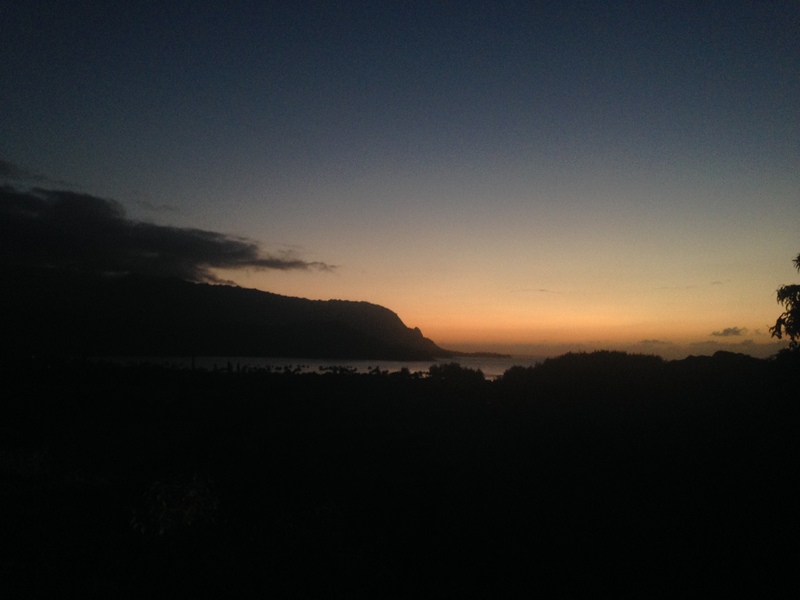 I realized I never shared any photos from my recent honeymoon in Kauai and Oahu on here, so I thought I’d share some highlights. I had a recipe in store for today, but ended up not being completely satisfied with it, so decided to scrap it for now. Meanwhile, here are some memories from our trip. Enjoy and happy Friday! Oh, and our 1-year wedding anniversary is this Sunday, June 8th. Hard to believe a year has passed already! Polihale Stae Park in Kauai. This is a remote wild beach on the west side of the island. The trek to get there is down a 5-mile bumpy, dirt road. It was super rough, but well worth it. Gearing for a 90-minute sunset catamaran ride, the last night of our honeymoon. 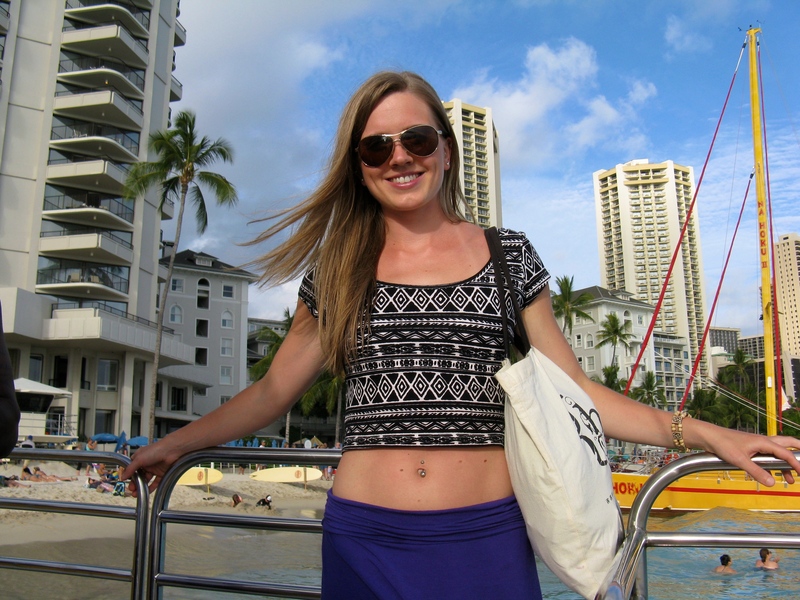 Honolulu, Waikiki Beach. My tasty breakfast one morning at the Common Ground Cafe on the North Shore of Kauai. 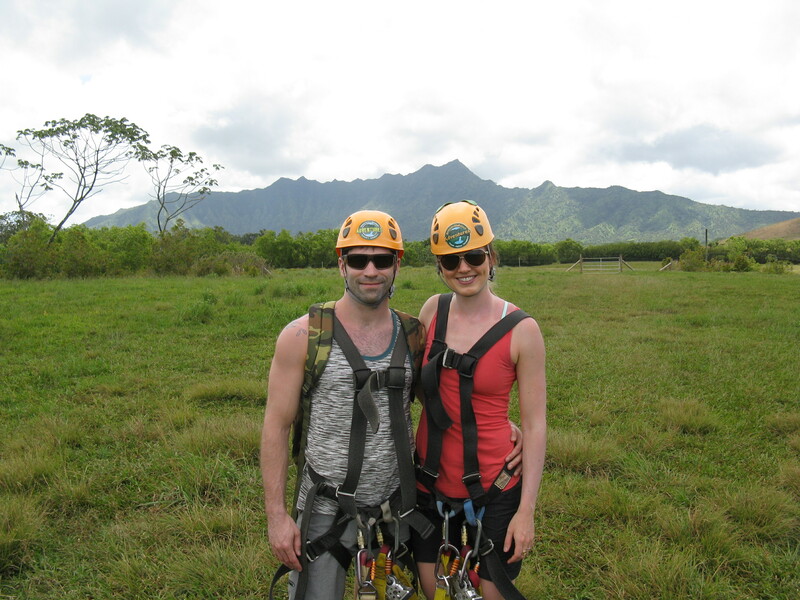 Zip-lining fun at the Princeville Ranch. It was a blast! 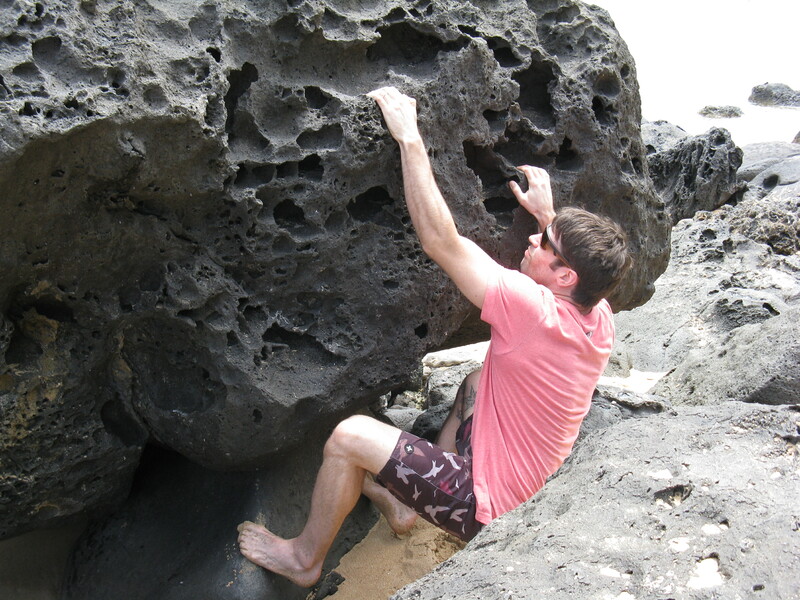 Jesse climbing on the rocks at Ha’ena State Park. 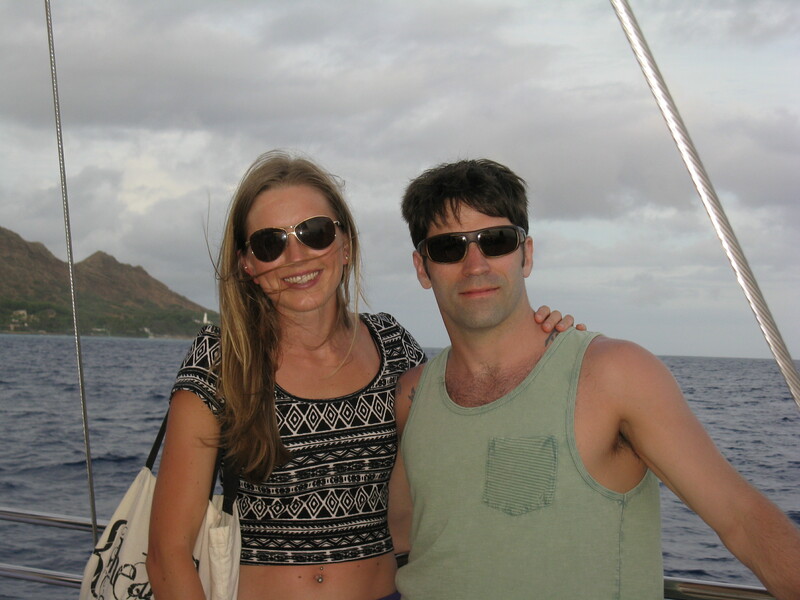 This was mere hours before he lost his wedding ring in the ocean at Tunnels Beach. Darn frog paws pulling it off. 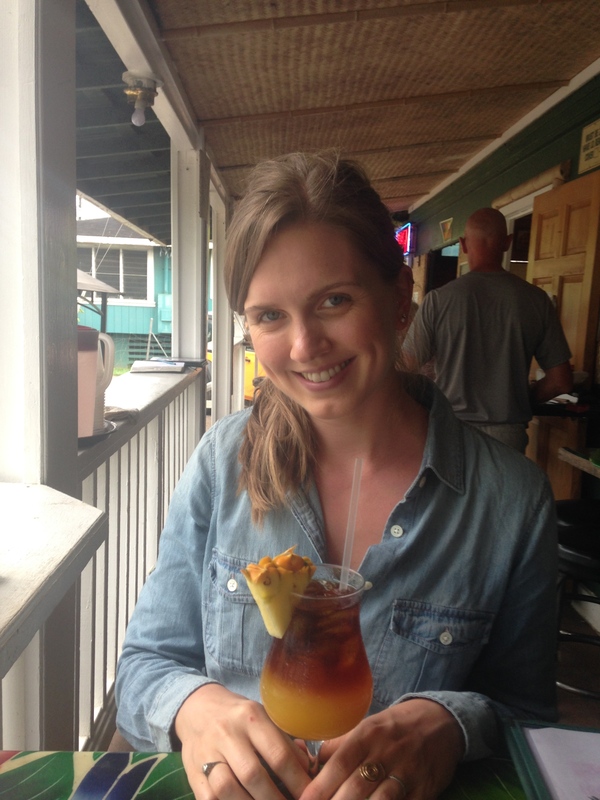 A really happy lady with her Mai Tai at Tahiti Nui in Hanelai. 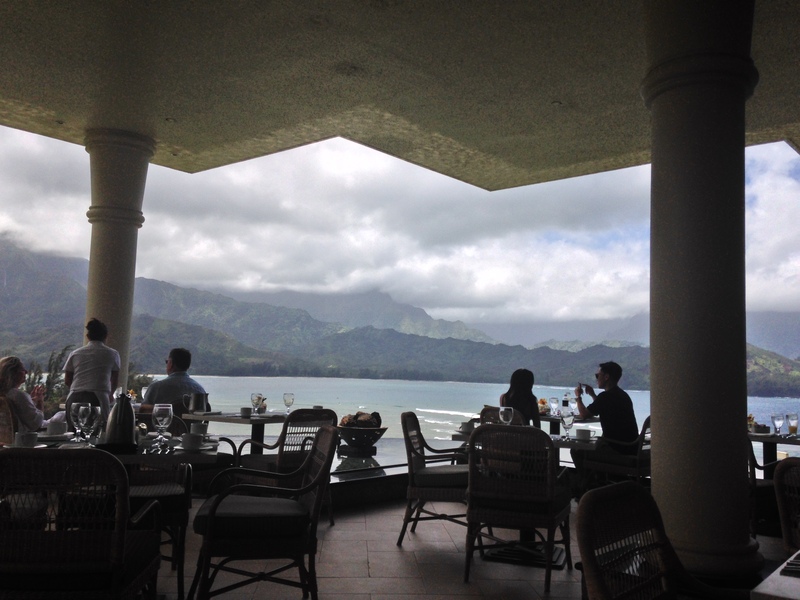 Our amazing view of Hanelai Bay during the most epic (and spendy) brunch ever at the St. Regis Princeville Resort. It was worth every penny. 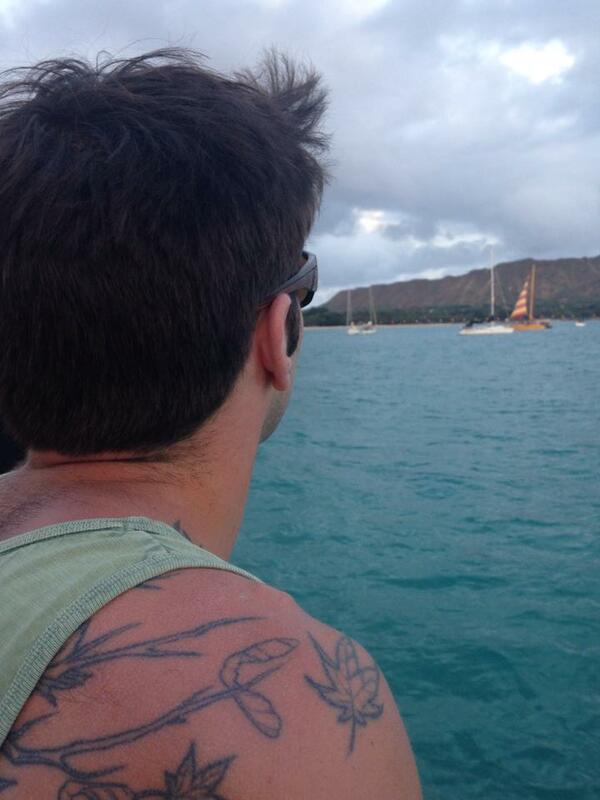 Jesse on our sunset catamaran ride in Honolulu. 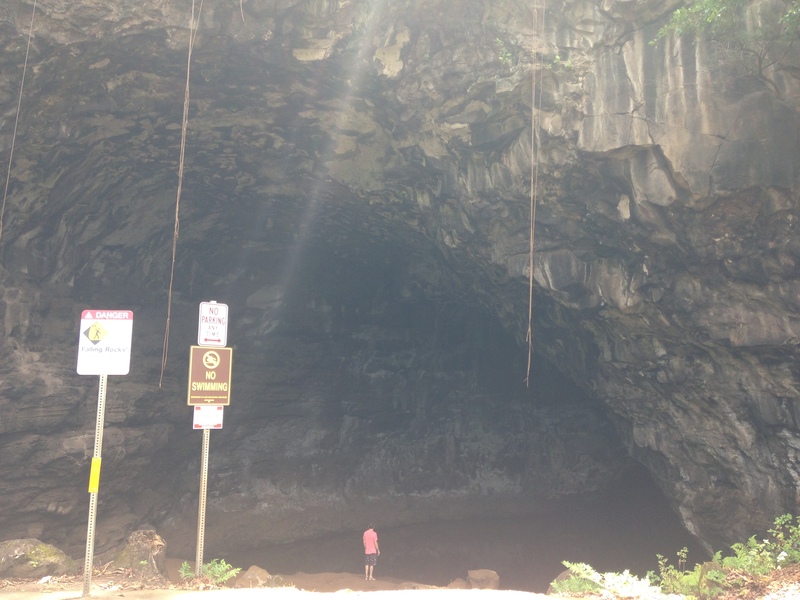 Jesse in front of a wet cave. Absolutely no swimming in there though because of some nasty bacteria. 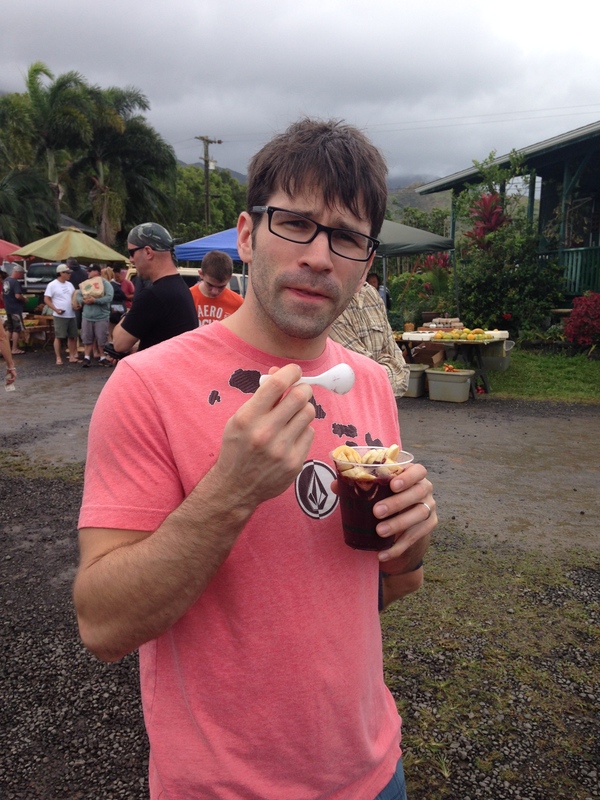 Jesse eating a homemade acai bowl (minus the granola) at the Hanelai farmer’s market. Still had his wedding ring here too. It was 2 days later that it left us. 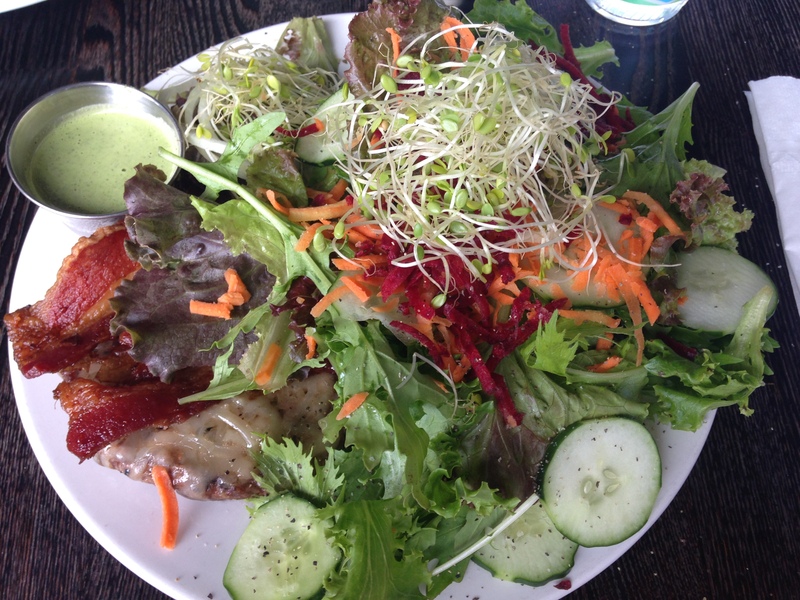 My lunch after zip-lining at the Common Ground Cafe. Bun-less grass-fed beef burger with bacon and raw cheddar (yes, I do okay with small amounts of highly fermented cheeses), organic veggie salad and a legit homemade avocado dressing. This place had great food and super good quality too. 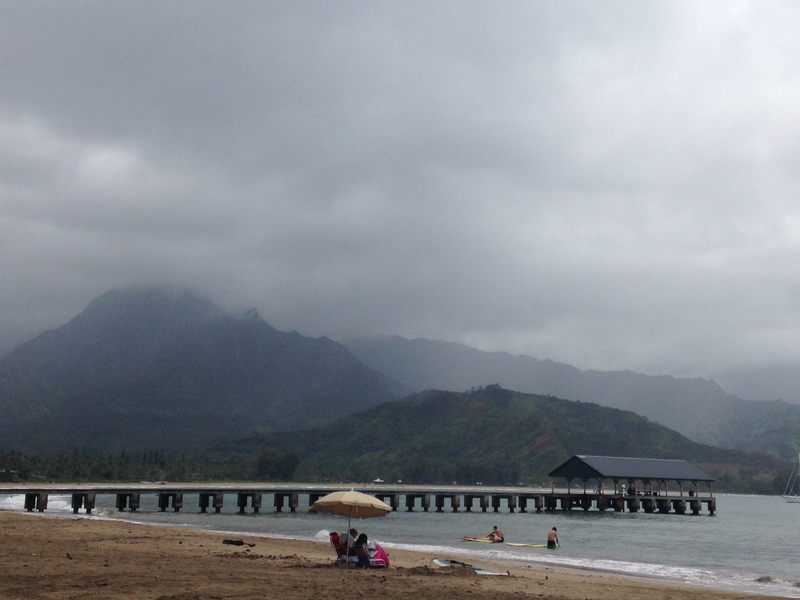 Poipu Beach at the South end of Kauai. We beached it this day with two friends who were also visiting the island. 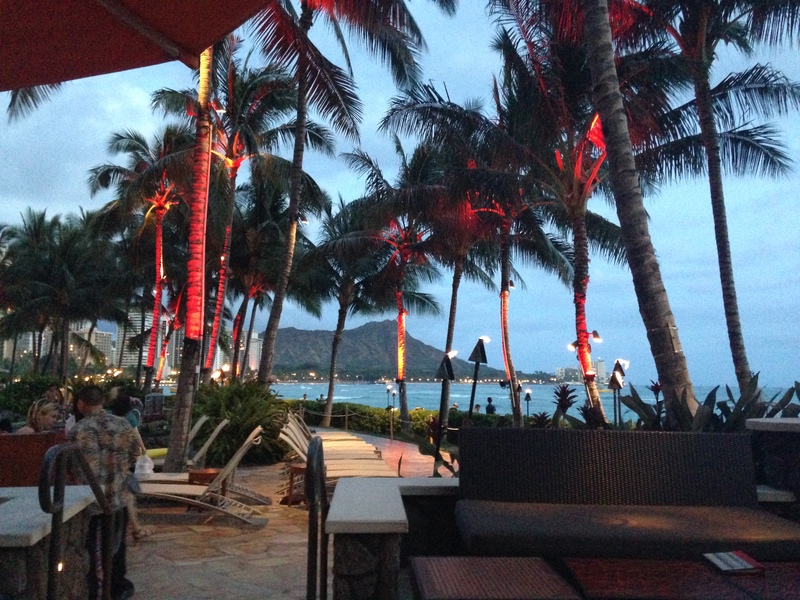 Afterward, we went for happy hour Mai Tai’s. 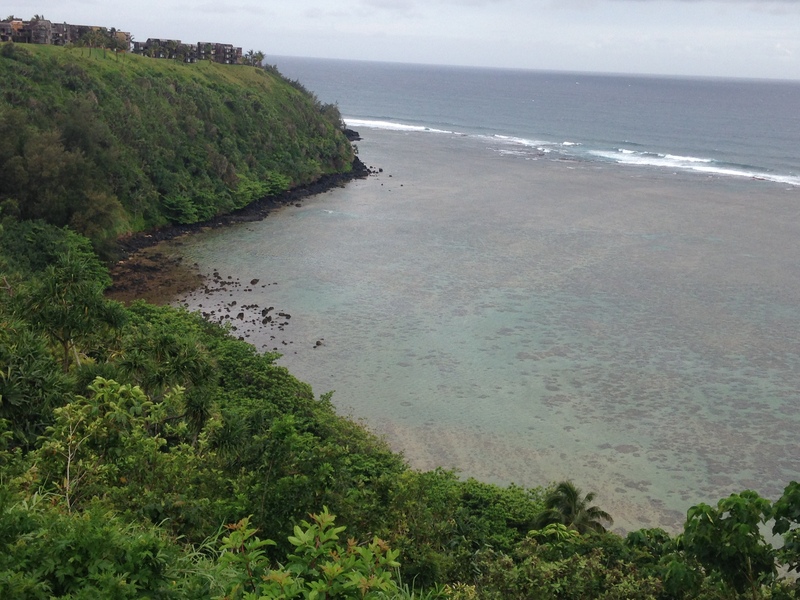 Great snorkeling here — saw lots of cool fish! Dinner at Rum Fire after our catamaran ride on our very last night. It was a windy ride! 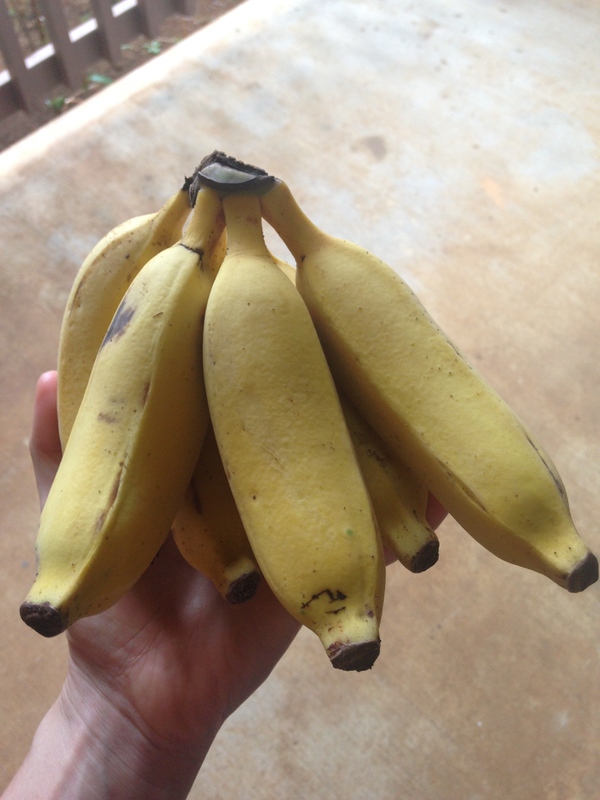 Apple bananas. These are so good! 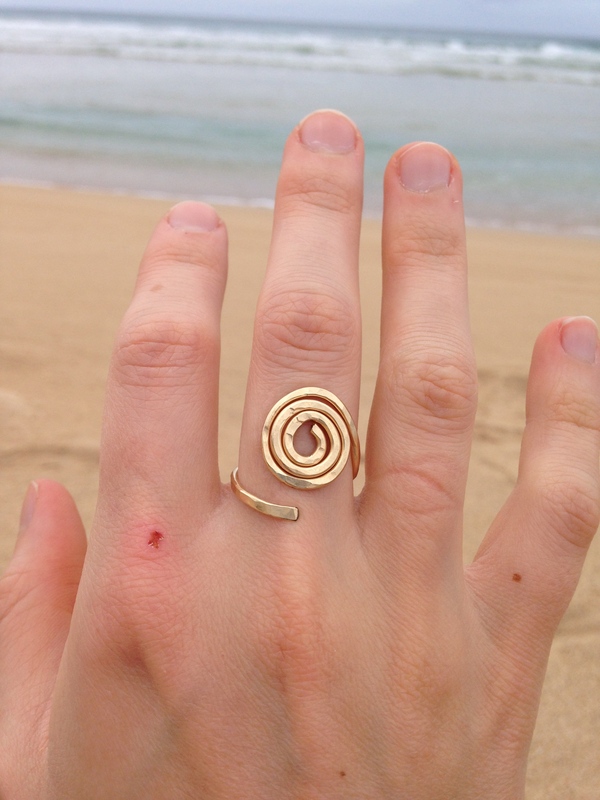 I treated myself to this ring from the Hanelai Farmer’s Market. The woman who made these used to live in Oregon and now resides in Kauai, making jewelry. She had such cool stuff! 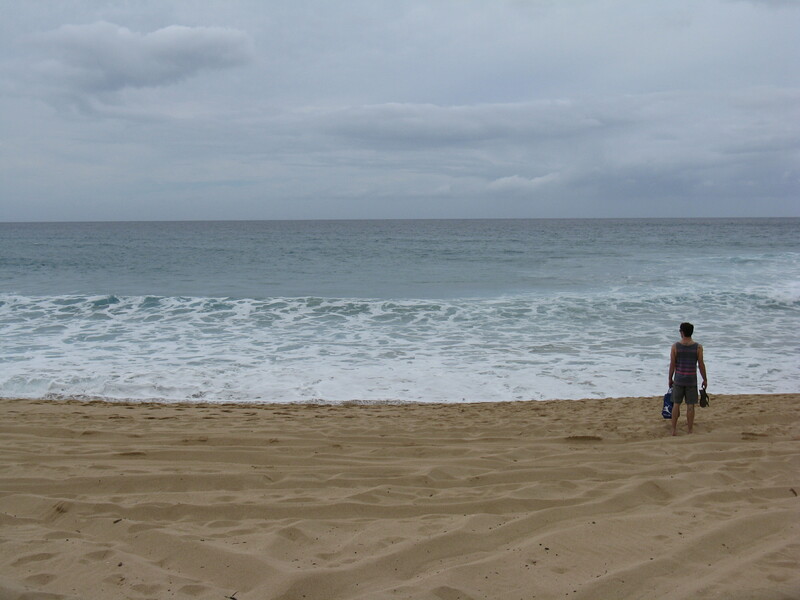 Here, I’m admiring it at Polihale State Park. Hot ride. I couldn’t resist taking a picture. 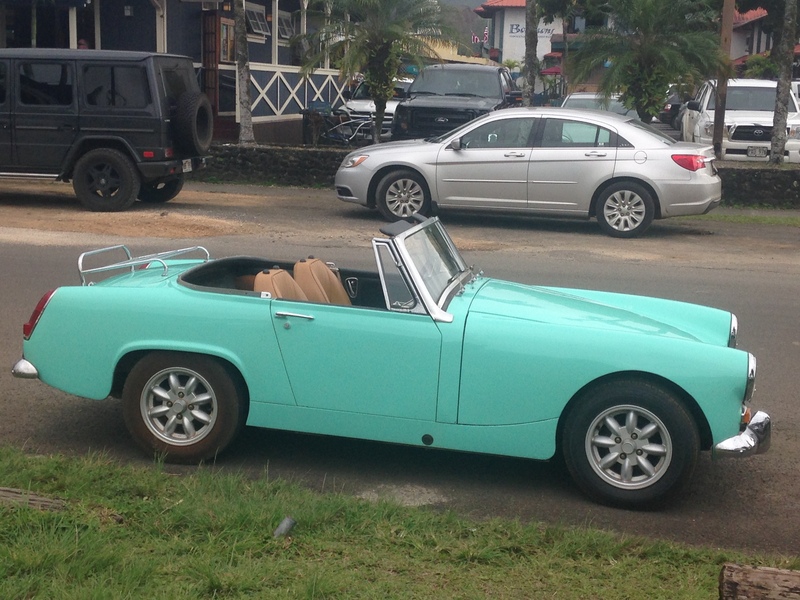 No, this was not the car we drove around in! An epic sunset overlooking Hanelai Bay. We pulled over on the side of the road to snap a picture. The photo doesn’t do it justice. 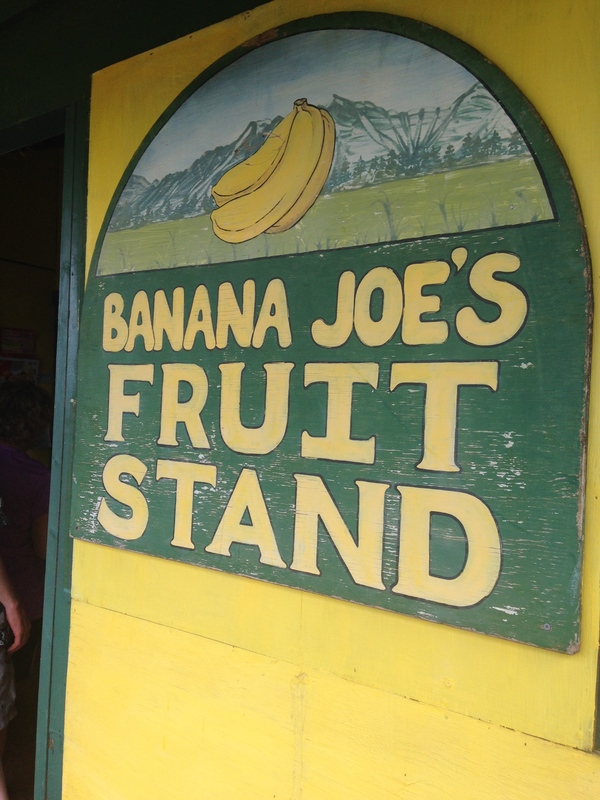 Fruit stands are all over Kauai and a must to stop at! 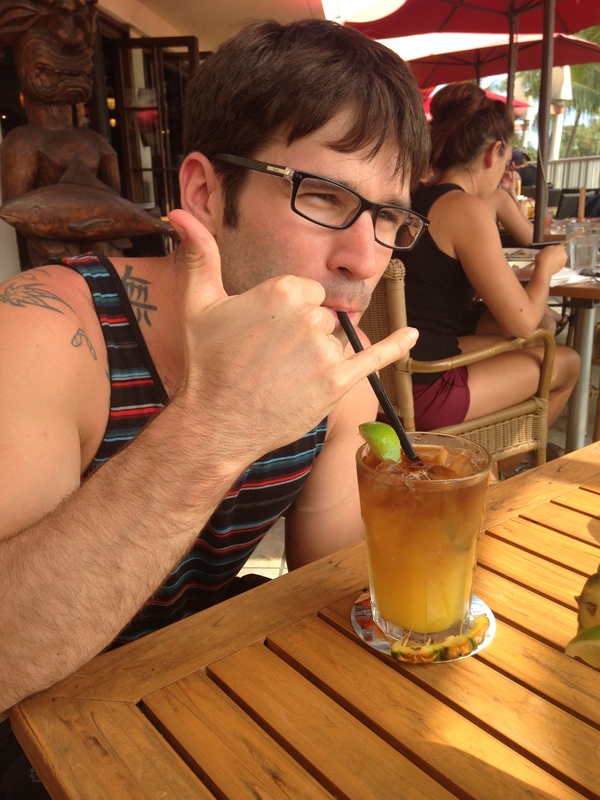 It was Mai Tai o’clock a lot. Fresh Hawaiian pedicure in Honolulu. 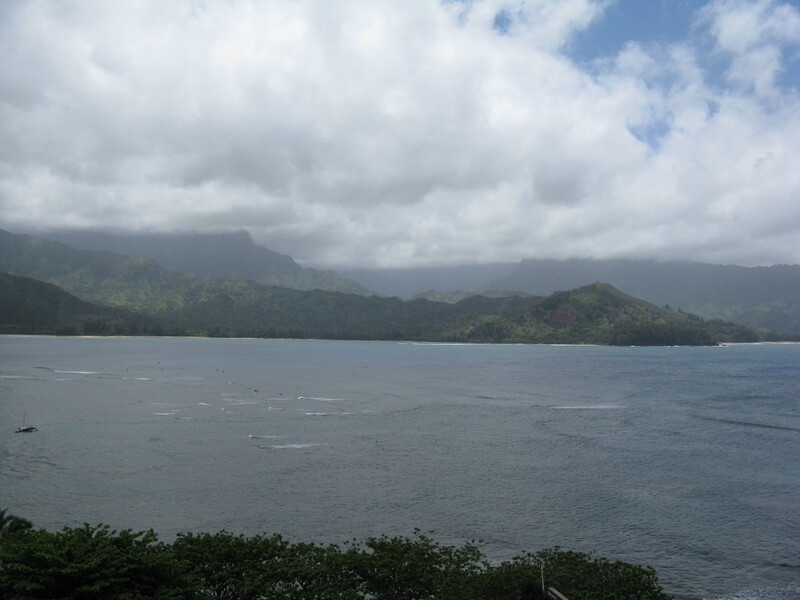 An amazing view during a morning walk, our first day in Kauai. Sitting on the terrace at the St. Regis, enjoying our fancy brunch. 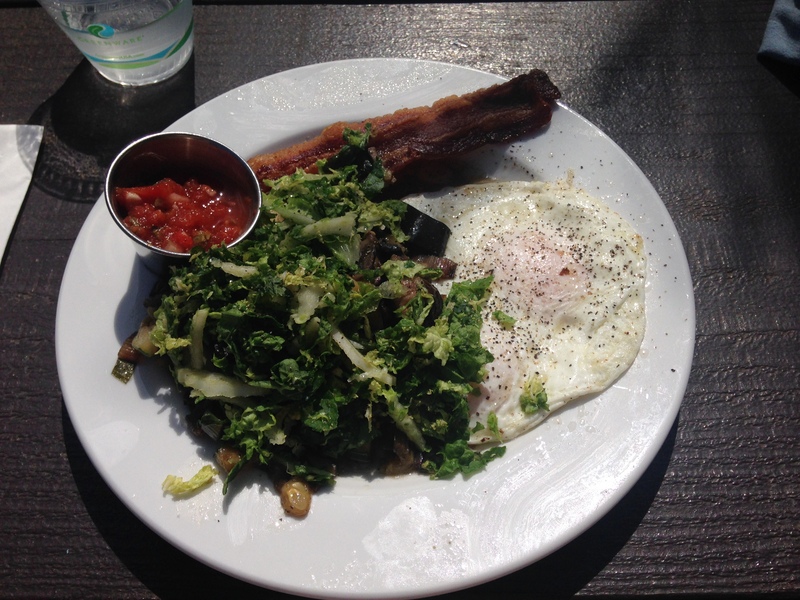 Seriously, most amazing brunch ever. There was everything and it was all homemade! They even cooked the eggs in clarified butter! 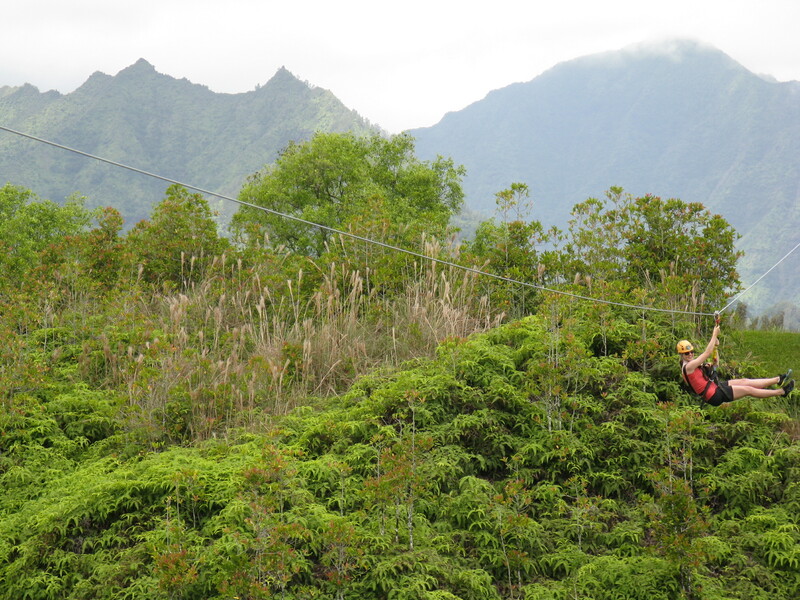 One of the 9 zip-lines we went down. So fun! Thanks for sharing! Looks like you had an incredible time, even if Jesse lost his ring 🙁 I love the one you got for yourself there! 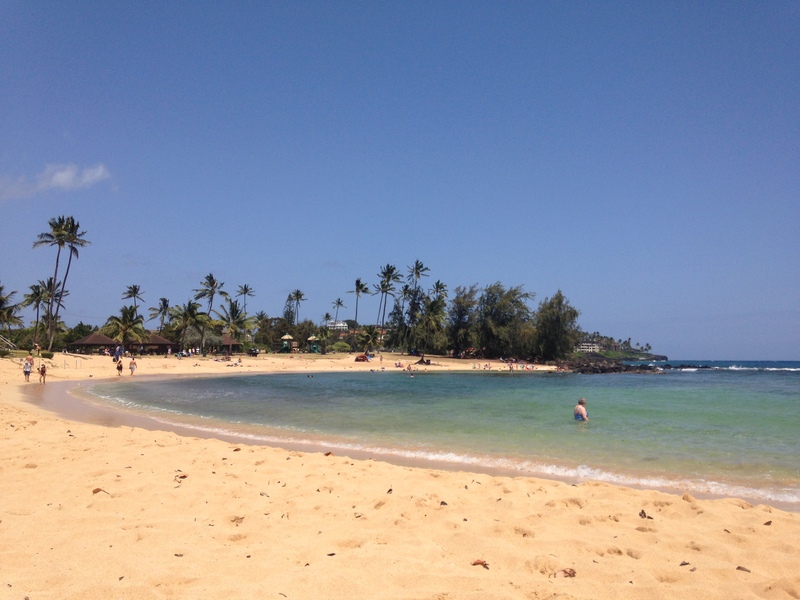 I would love to visit Hawaii one day, I was there years ago like 17 years ago now and hardly remember a thing! It was so incredible, Naz! I hope you make it back to Hawaii someday. Do you recall which island you visited?